How do I add my proxy server settings to the ESET Endpoint Encryption Server? Click Main View in the top right-hand corner to go back to the normal view. Under the Internet Settings heading click Use system proxy settings and change the value accordingly. Click the Workstations tab and click the Update Policy button. 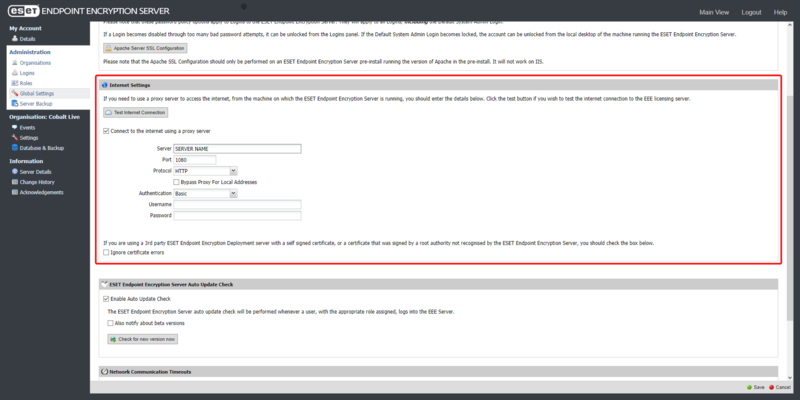 This will send the new Workstation Policy Setting to the workstations. The Workstations you will need to perform an Enterprise sync for the update to be applied.